Nashville Events by Design is located at Nashville Music Valley Opryland. We offer you a wealth of knowledge, event venues, in-house inventory, professional planners and a host of networked professional vendors. We do Social Cocktail Parties, Corporate Functions, Family Reunions, Destination Weddings, Wedding Ceremonies, Receptions, Courtyard Gatherings, Church Retreats, and Private Parties. 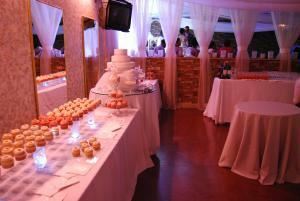 We have different facilities like MUSIC VALLEY BANQUET BALLROOM, MUSIC VALLEY EVENT and WEDDING CHAPEL, a Social Cocktail Room, and Courtyard that can easily accommodate up to 250 of your guests. The Music Valley Ballroom is an unique event space in Nashville Music Valley Opryland. This location has hosted music showcases, record release parties, corporate dinners, luncheons, corporate brunch, sales meetings, wedding ceremonies, wedding receptions, family reunions, graduation parties, holiday parties, theme parties, or can host any type of private event. We take pride in our old-fashioned Southern Hospitality that Nashville is famous for. Accommodation is 180 guest, and with the flip of adjoining room guest count increase to 250 seated guest. The Music Valley Wedding Chapel Ballroom is an unique chapel and event space in Nashville Music Valley Opryland. This location has hosted wedding ceremonies as small as 2 guest with pictures and social cocktatil immediate following, or standard ceremony as large as 150 guest, meeting presentations, church services, tea or bridge parties, and social gatherings. 24 hours on-call destination ceremonies. We take pride in our old-fashioned Southern Hospitality that Nashville is famous for. Includes exclusive access to both areas.